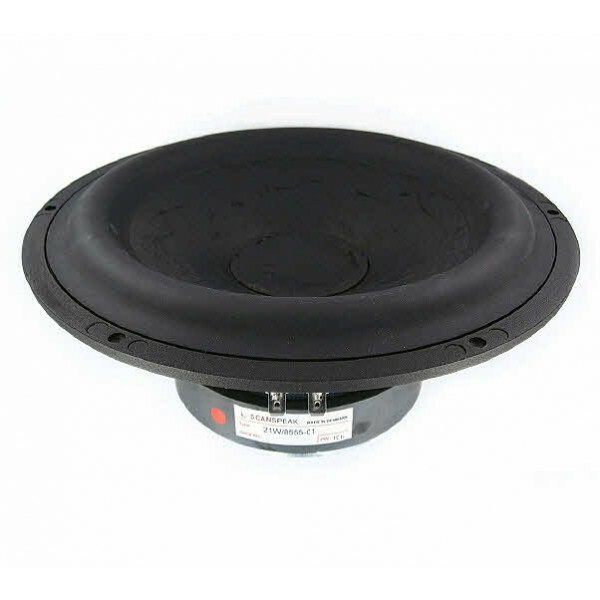 Scanspeak 21W/8555-10 Woofer - Classic Range. 8" 8 ohm Woofer, New re-engineered Al Chassis, High output, excellent performance. Symmetric Drive SD-1 Motor System. Hard Paper Fibre cone, 42mm voice coil, Very Low Fs (20Hz), Low Loss Linear Suspension, and a low damping SBR Rubber surround.